The award recognises those car rental partners who have received the highest reviews from Rentalcars.com customers. Richard Lowden, Green Motion’s CEO, said, “Rentalcars is a valued partner of Green Motion and we are extremely honoured that Green Motion Rovaniemi Airport has been recognised by their customers." 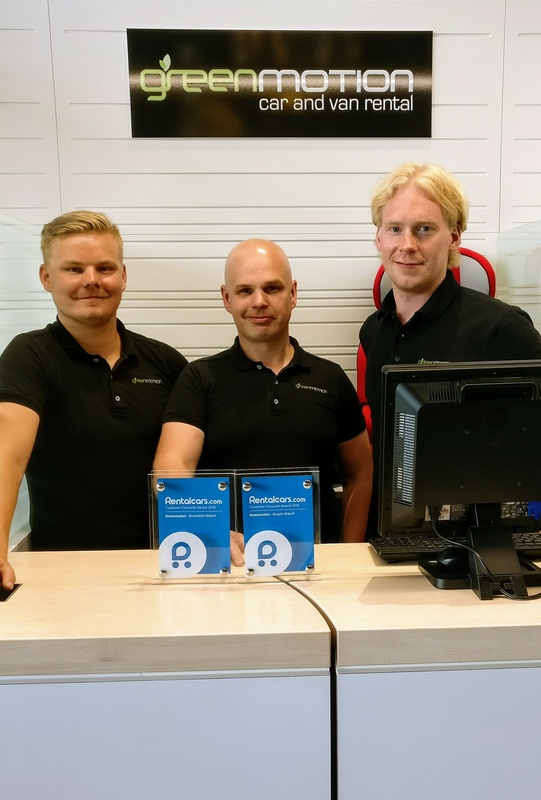 Green Motion Rovaniemi Airport puts customer service at the heart of their business, ensuring that each and every customer receives the very best from their car rental experience. Green Motion has 20 car hire locations in the charming country of Finland – including Rovaniemi Airport, Rovaniemi Railway Station, Helsinki Vantaa Airport, Kajaani Airport, Kemi Tornio Airport, Kemi Railway Station, Kittila Airport, Kuopio Airport, Kuopio Bus Station, Kuopio Downtown, Tampere Airport, Tampere Downtown, Tampere Railway Station, Iisalmi Railway Station and Ivalo Airport.